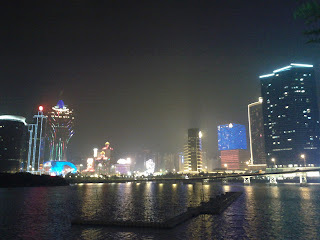 Some of you might already know that Macau is a place that is special to me. Macau, an sort-of-island (as it is so attached to the mainland) is located one hour away from Hong Kong and is like Hong Kong a so-called "Special Administrative Zone" of China. The place has been in Portuguese hands since the 16h century (although the Dutch have repeatedly trying to conquer it), but has been handed over to back to the People's Republic in 1999. 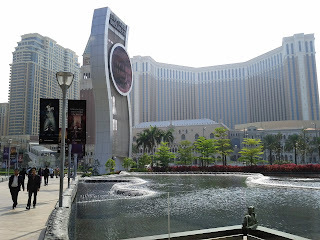 Macau is not only a special place to me personally, but in general it is considered special in this region, because it has legalized gambling to such a certain extend, that it has influenced the area tremendously. Besides that, it is a tax haven for offshore companies and inhabitants, and there are no foreign currency controls such as in China. Investors are also heavily stimulated by the government to invest in Macau, partly due to the eased tax-policies. 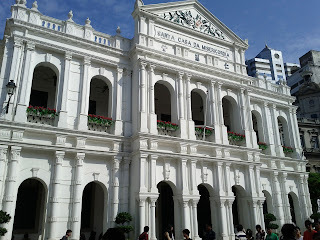 I have only been in Macau since the beginning of this year, but if you look into the history of this place, you can understand that the inhabitants have experienced a huge transition. Since the handover in 1999, the place has seen an annual economic growth of 13%. While before, the main income was only generated by trading and local activities such as fishing, nowadays the biggest income comes from tourism, and especially the gambling industry. In 2006 Macau overtook Las Vegas in gambling revenue with 23 Billion US$, but this year they expect that number to be 5 times higher. When I walk through Macau, I have mixed feelings about the place. The casino's, some of the biggest in the world, are enormous and endless and (for a Dutch guy) almost beyond imagination. Let me give some examples. 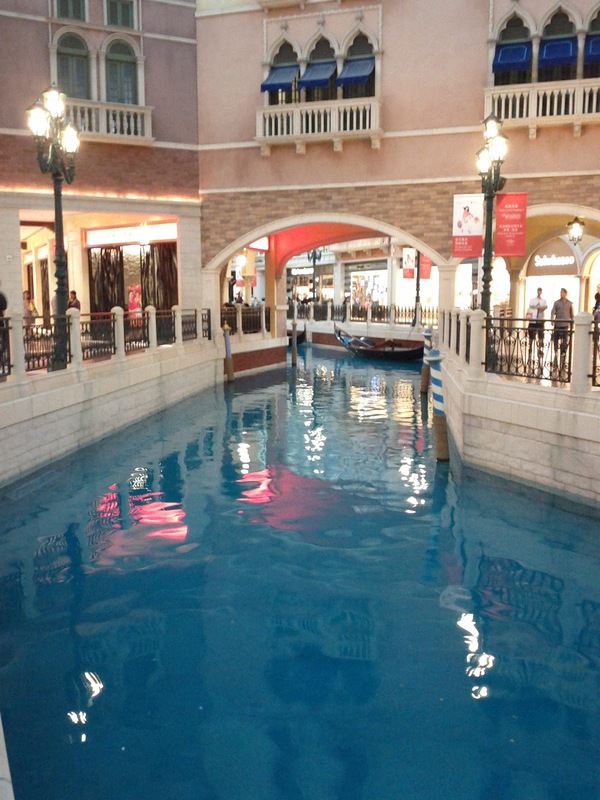 When you enter The Venetian (a copy of Venice), you can walk for an hour through the shopping malls in Venice style streets, with canals and even the same venetian boats (with opera-singing boatmen). The ceiling is painted like a cloudy sky and constantly changes light so you won't feel tired. There is more than 51000 square meter of casino floorspace, filled with endless rows of slot machines, poker tables, cashiers and ATM machines. Besides that, they have an hotel inside the building with 3000 rooms. The Galaxy (which has just been opened this year) features an enormous entrance with a huge hall where you have quarterly fountain shows, marmer floors, toilets, and LV, Gucci and Rolex stores everywhere you look. There are two hotels inside, offering a total of 2200 rooms, and an enormous swimming pool on top of the building. Some day when I was visiting the Venetian for the first time, I literally got lost as it is such a huge complex. I was looking for the exit for almost half an hour, walking around in the Venetian streets, the gambling halls and food courts, until I finally managed to escape to the right place. My god! One thing that amazes me in Macau, is how the local people deal with the transformation that is going on. As western people, like me, you have the idea that Asia is still a developing country, and that there are some rich people, but the majority has a far lower life standard than us. 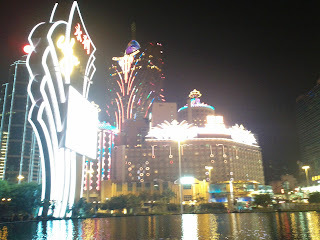 If you want to blow away this illusion, Macau is definitely the place to visit. First of all, you cannot get a decent hotel room for under 120 euro during the weekend. Everything below that amount I would not even let my dog stay for the night. An average room in a decent hotel will cost you between 150 and 200 euro per night. The food and drinks in Casino's are far higher priced than most of the restaurants I know in The Netherlands, although you can have an excellent meal for a very good price when you take a step outside the casino's and go to the places where the locals eat. Besides that, you will see so many expensive shops such as LV, Gucci, Hermes, and they are all fully occupied, sometimes even with waiting queues outside to have the rich Chinese orderly wait before they spend thousands of dollars. Expensive cars drive around in the city as it is normal to own a Ferrari or Maserati. Besides luxury goods and expensive cars, there are lots of women where you can spend your earned gambling money on. You see advertisements everywhere to call prostitutes, they walk around in hotels looking for big money spenders, and for the insiders, there is even a place where you can take a seat, and watch them stroll by (and select one like it is a meat market). I happened to get this location from a friend of mine, and of course I had to take a visit just to see what is going on there. But one thing that scares me is that this generation, so influenced by easy money, might destroy itself in the end. Most of the Casino licenses end around 2020, and what if China decides not to renew them? What if China decides Macau will no longer be a tax haven? What will happen to the economy that nowadays is mostly based on the entertainment industry? What happens when the majority of the young generation cares only about easy money, and does not have any significant degree when all the Hong Kong and Chinese graduates will compete with the same scarce amount of jobs? Therefore I sometimes think that Macau might show us an example of the end of a civilization. When there is nothing left to do than Gambling, Drinking, spending money on luxury goods you don't need, it means that life is pretty useless. After all, there is also a bright side. The casinos and all the yearly visitors brought a huge improvement in government earnings, and I believe that in general everybody in Macau is now better off than before. The Government spends a lot on health care improvement, tax reductions and other social programs, so that the majority of the people benefit. I also read that the life expectancy in Macau is the highest in the world! 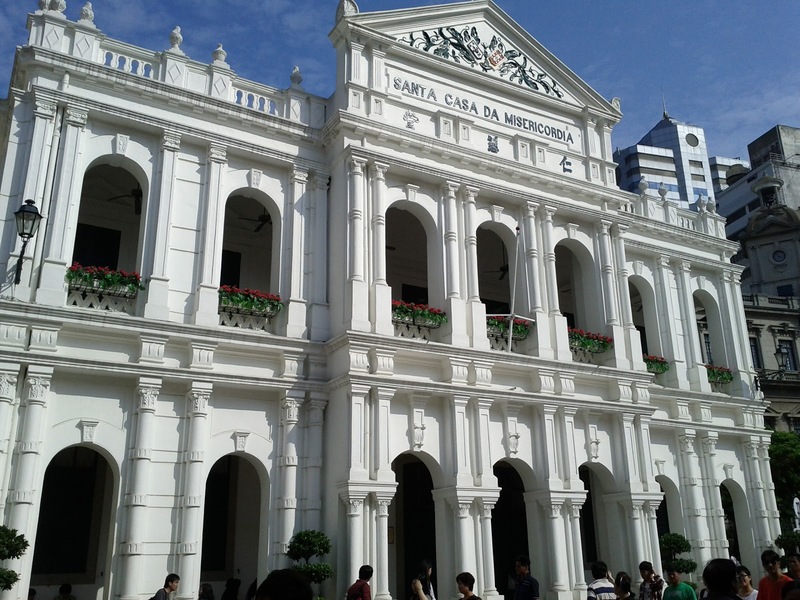 Besides that, the old center of Macau, where you can see the old Portuguese style houses, will give everybody a warm feeling when visiting. I leave the final conclusion up to you, but I think everybody will agree with me that Macau is certainly a unique place in Asia!